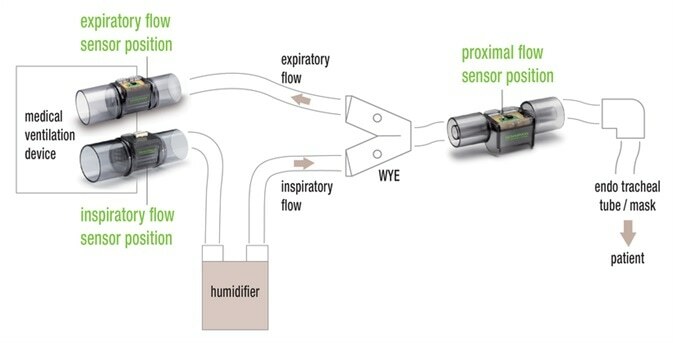 Sensirion's flow platform SFM3xxx includes sensors for use in expiratory, inspiratory, and proximal flow measurement, in addition to gas mixing in ventilation and anesthesia applications. Sensirion provides its customers with the correct sensor for all flow measurements with the platform, showing its global expertise in the field of medical ventilation. The SFM3xxx platform from Sensirion is made up of multiple flow sensors which possess comprehensive capabilities for a wide scope of medical applications. Each sensor in the SFM3xxx platform has qualities such as robustness and high precision. Each one is calibrated fully, with temperature-compensated sensors to calculate the flow rates of air and other non-corrosive gases bidirectionally and precisely. They are also impressive because of their fast signal processing times and extremely low pressure drop. The SFM3xxx platform sensors cover all gas flow measurement needs in medical technology because of this comprehensive range of features. 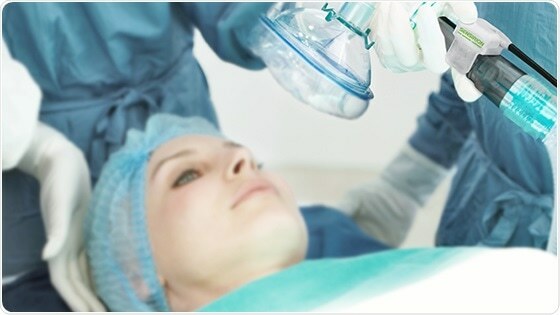 The sensors can be employed for a wide scope of medical applications, such as anesthesia, artificial ventilation, metabolic measurements, and drug delivery. The autoclavable and single-use SFM3200-AW, SFM3300 and SFM3400 mass flow meters are the first choice for expiratory or proximal flow measurements. Whilst the SFM3000, SFM3100 and SFM3200 mass flow meters are suitable for gas mixing and inspiratory flow measurements. Where cost efficiency is the priority, the SFM3000 digital mass flow meter is ideal for high-volume applications. A temperature sensor incorporated into the gas channel of the sensor allows highly precise temperature compensation and removes the requirement for an extra temperature sensor. The SFM3200 mass flow meter boasts high precision at low flow rates, a wide dynamic measurement range, and low pressure drop in the flow body of the sensor. Sensirion also manufactures three autoclavable mass flow meters, the SFM3200-AW, the SFM3300-AW and the SFM3400-AW. The sensors can be treated in an autoclave because of their robustness, making them sterilizable and so, reusable. The SFM3200-AW provides outstanding performance at low flow rates and is used mainly in expiratory flow measurement applications, while the SFM3300 series (for adult ventilation) and the SFM3400 series (for pediatric and neonatal applications) were developed for proximal flow measurement. Both sensor variants are available in the single-use option "D" and the reusable option "AW". A special, externally controllable heating element has been integrated as both expiratory and proximal flow measurement have to work with humid respiratory air. This helps to stop condensation on the sensor element. The outstanding performance of the SFM3xxx platform is based on the patented CMOSens® Technology, like all sensors from Sensirion. This allows integration of the evaluation circuit and sensor on a single CMOS silicon chip. The outcome of this is an ultra-precision system which provides long-term stability for cost-sensitive and sophisticated applications. CMOSens® based flow sensors are perfect for utilization as sterilizable sensors as the technology is also extremely resistant to environmental effects. The employment and spread of ventilators will continue to increase rapidly in the future because of the increasing number of lung diseases. Modern ventilators place ever-growing demands on sensors in order to set the focus on the patients and their therapy. Sensirion's CMOSens® Technology has created a new generation of flow sensors which have proven their reliability on countless occasions in the field of CPAP devices. This technological benefit will permit manufacturers to realize the next quantum leaps in ventilation. Sensirion, the innovation and market leader for flow and environmental sensors, supply the right flow sensor for every measurement in respiratory devices. With its SFM3xxx platform underscoring its global expertise in the field of medical ventilation. It is made up of expiratory inspiratory, and proximal flow sensors in addition to sensors for gas mixing. Medical devices must meet the highest standards in terms of quality and reliability. Doctors, nurses, and patients benefit daily from applications in the field of medical technology that are getting smarter by the day. The use of proven Sensirion sensor solutions contributes to this and offers the possibility of making applications safer, more reliable and more convenient. Our many years of experience in the field of medical technology make us the preferred experts for leading medical-technology companies.